As the title of the post says, these are some makeup products that I'm looking forward to. Some have been released already and some are being released in the near future . 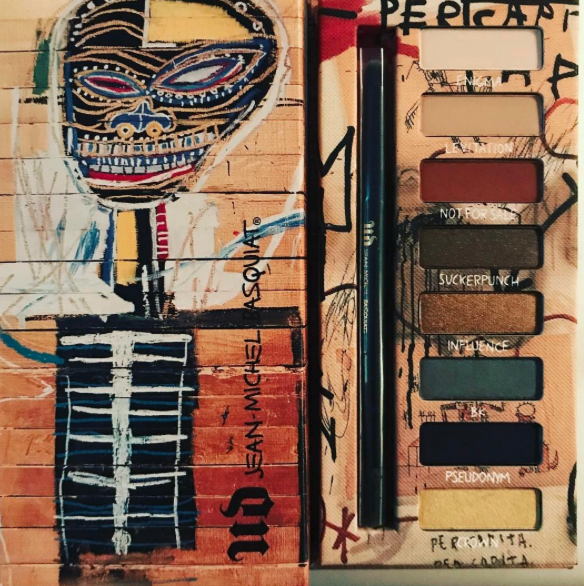 I’ll be honest with this one, I wasn’t familiar with Basquiat’s work before seeing the collab with Urban Decay. I’m not a fan of his work like that, however I do love the colours that are in both palettes. There are 8 shadows in each palette, which isn’t UD’s usual set up. Each shadow is 1.2 grams which is a good amount for an eyeshadow palette. There are two colour schemes, a gold neutral one and a vibrant colourful one, I don’t really know what is drawing me to them but I like them. I’m a little torn though, because the colours a bit basic. Not sure about this one. This is just a re-launch, it sells out so quickly each time they release it. I’ve seen it on the US Estee site, but they don’t ship to Canada (even though on the website it says they do). Tempalia gave this an A+ when she reviewed it, and after looking at other reviews it appears that this will work on my skin tone. It’s very expensive but I really want to try it. Good news due to customer demand they’re bringing it back for a limited time this summer, which I’m excited for. I don’t know why I kept talking myself out of purchasing this when it first came out, but this palette won’t miss me this time. I’ve signed up for the email notification, so I will be ready when it launches. Let’s hope my wallet is ready too. This product isn’t launching until around the fall, but from the early promo photos the colours have got me. I don’t know what it is about colour that just resonates with me. It does have Too Faced’s standard purple colour, but I’m hoping that the quality is there. If the shadows are pigmented and apply well then I will be all over this bad boy. Don’t know when this bad boy is going to launch, don’t even know what it’s going to look like because all we’ve been able to see from the promo pics is that it’s a 16 pan eyeshadow palette. I’m hoping that it’s something that appeals to me. I guess the excitement is waiting to see what it actually looks like, expectations are high for this brand. What are you looking forward to in the ever changing world of new makeup launches?